As the New Year begins it’s important to implement foods that nourish our body. As an avid vegetable lover, I love to play around with new recipes in my kitchen. I love this dish for a number of reasons plus it’s super versatile! Hemp seeds contain an abundant amount of plant based protein, contains Omega 3, 6, 9 and gamma-linoleic acid (GLA), is rich in trace minerals, dietary fiber, and contains all 9 essential amino acids. 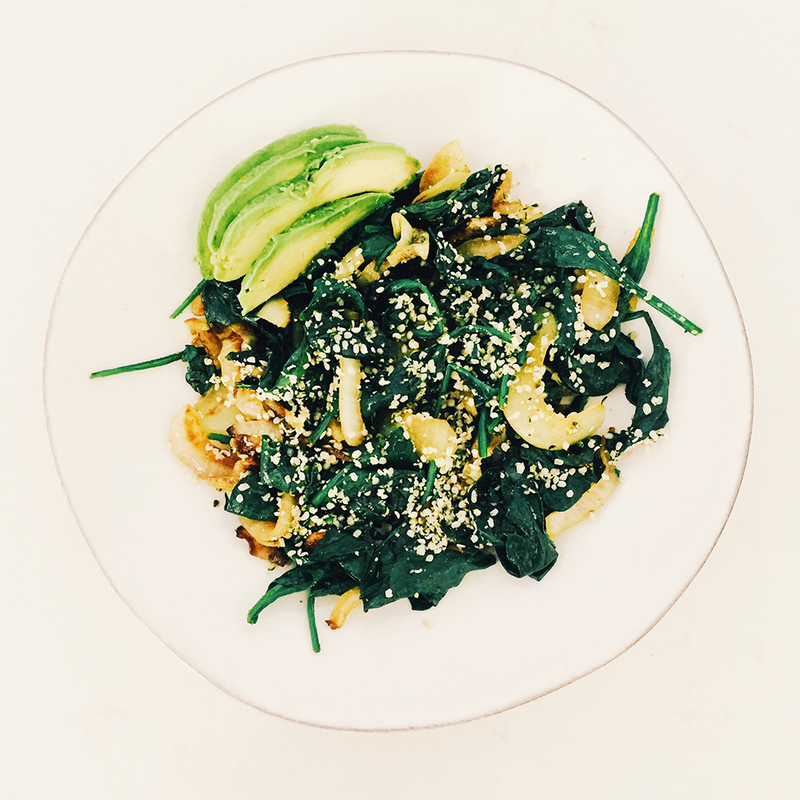 You can sub out the spinach with another green (like kale). Cumin is a great spice for your overall skin/beauty health. It actually helps improve immunity, aids in digestion, helps treat skin disorders, and also helps treat respiratory disorders such as asthma and bronchitis. Not to mention, it has a great flavor profile. I like to add half an avocado to this bowl as well. Avocados are a naturally nutrient dense food (filled with those good fats we want) and contain about 20 vitamins and minerals. 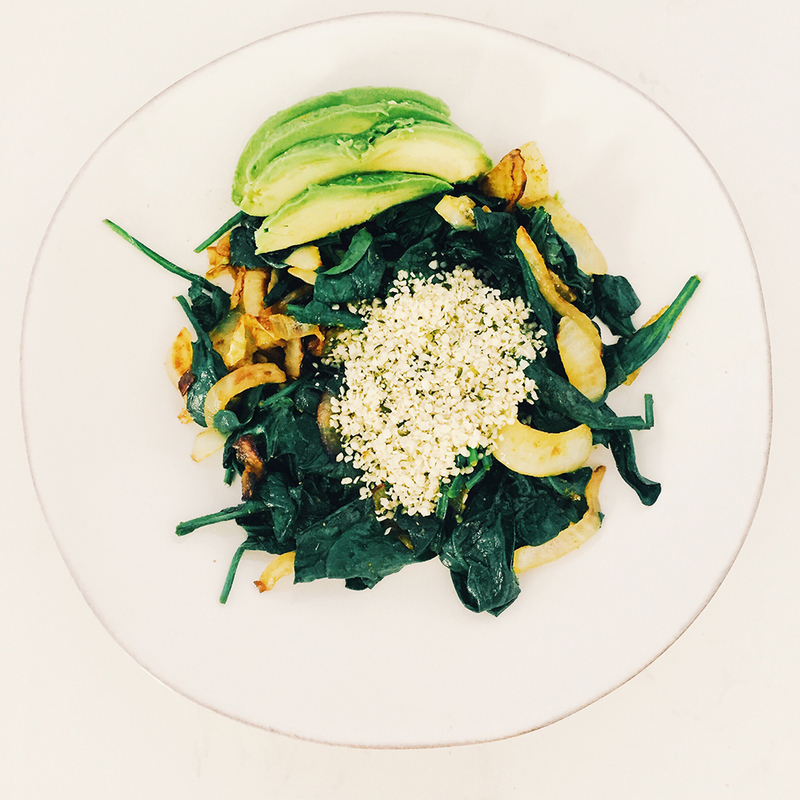 This recipe can be as simple (spinach, onion, and hemp hearts) or as complex as you’d like (feel free to add in other veggies you have in your fridge as well). Happy cooking! 1. In a skillet, heat up your oil and once it’s hot, toss the onions in. 2. Once the onions are halfway caramelized, add in the sliced mushrooms, the cumin, and salt and pepper to taste. 3. When the mushrooms and onions are tender, add the spinach in and stir. 4. Let it cook for a couple minutes until spinach is tender and remove pan from heat. 5. 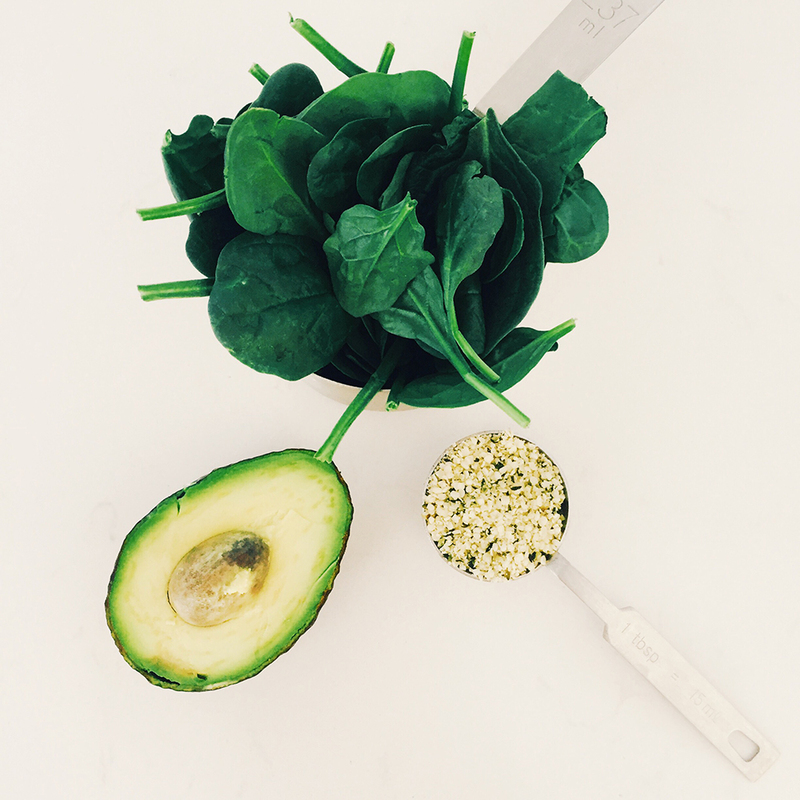 Top it off with some hemp hearts (or stir them in), add half an avocado to your bowl (if you want) and you’re done!